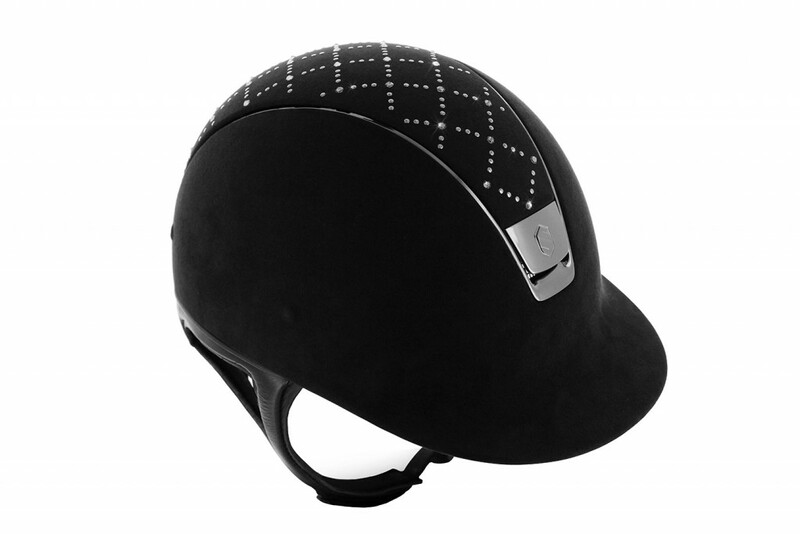 Helmets for horse riding Samshield is a relatively new product on the market bonuses. Its creator is Sam Maloigne . His career as an athlete , it is indeed directly related to the horse-riding , because for years he was a professional pilot motocross , global rank. Sales Manager on a daily basis , as well as an avid collector own personalized helmets since his career in MX . In 2003, at the urging of his friend – the player jumper , he began to ride. Therefore became the owner of one of the flagship helmets disapproval of those years and said his imperfection in many aspects . This event was the flashpoint for the design of custom-made helmet that meets the most stringent requirements for safety, comfort, quality materials and the possibility of individual personalization . Currently Samshield with little popular product has become one of the most chosen by eminent players in both jumping and dressage as. In line with its philosophy of ” Modern horse riding , demands innovation” Samshield offers products that combine the needs of young professional riders and creativity of young designers. Putting on development Samshield is at this point in the design of helmets to ride ensuring full safety and security of eventing competitions , polo or participating in rallies and races. Moreover, the company has continuously improves and enriches its offer when it comes to allowing personalization of their products. However Samshield is not only riding helmets . The manufacturer has also done with extreme care and using the best materials , riding gloves . Modeled on the gloves for golf , riding gloves are made ​​using up to 4 different materials : ultra thin perforated lambskin , suede with silicone, durable lycra spandex . Checked by leading global riders, over a long period of time before the official market entry riding, are, like helmets today one of the best products on the market in its field. In addition, to improve the visual effect , gloves are in issue with Swarovski crystals , being the perfect complement to individually composed equestrian helmet . Currently, designers are in the design phase of gloves specially adapted for riding during the winter weather , so that at low temperatures do not have to let go of your most favorite brand.